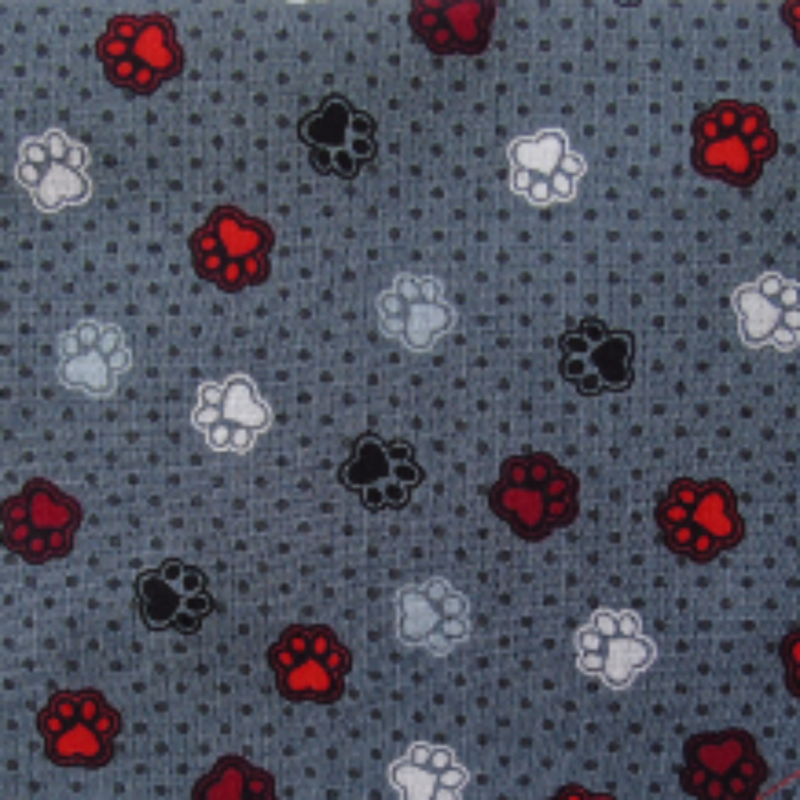 A striking, super-cute Pawprint Bow Tie, with little pawprints in red, white, grey and black on a smart 100% cotton grey background with little dark grey dots. The pawprints have little hearts for pads...so cute! It's a lovely smart and classy design, and will certainly make your dog stand out in the crowd.